One growing concern in fighting drug abuse in South Africa is the use of the infamous Whoonga/Nyaope drug. 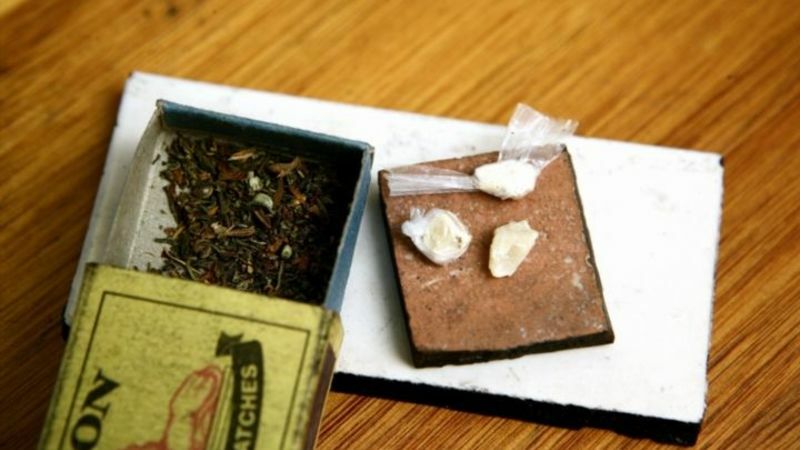 Whoonga is a street drug made up of a mixture of a number of potent and highly dangerous and addictive compounds. This powder mixture or concoction includes rat poisons, heroin, soap powder or detergents, crushed glass, methamphetamines, and anti-retroviral drugs. Anti-retroviral drugs are a class of drugs used to treat HIV/AIDS. The resulting Whoonga/Nyaope is a fine, white powdered substance. Often, users smoke, sniff, or inject it together with other addictive substances such as marijuana or tobacco. Nyaope is cheap and highly accessible. The drug sells for between R30 to R45 per hit (approximately $3). The user normally requires at least 3 hits per day. This costs the individual at least R3000 per month to support this habit. The person may resort to stealing and crime to fund this habit, which places further strain on the criminal justice system. People have also claimed that addiction can set in as early as when an individual uses the illicit substance for the very first time. It is also quite common to use Whoonga in a “Bluetooth method”, where an individual injects the drug into his or her bloodstream, and a second individual draws out blood from the first user and injects into himself. This method enhances drug abuse and also increases the chances of contracting HIV/AIDS. The myriad of effects that accompany the use of this drug is a cause of worry. Doctors in South Africa recently reported the devastating effects of Nyaope on the heart, lungs and central nervous system. They reported about 10 deaths out of people who sought help. There have been reports of the lethal effects of the substance being worse than pure heroin. In a study, Whoonga was associated with longer duration periods of psychosis. A study delved into the socio-economic impacts of Whoonga/Nyaope. Besides increasing the users’ vulnerability to infectious diseases, Whoonga users are also prone to be ostracized and stigmatized in the community, and many communities simply “don’t want whoonga users around”. A recently published study examined the usually strained relationship Whoonga addicts have with their family members. The ability to cause addiction is particularly strong because the euphoric effects of the drug wear off in a few hours. And in a bid not to run out of supply, users who don’t have enough financial means will delve into criminal activities which further strains the relationship with family, friends, and the community. Stopping an addiction to Whoonga/Nyaope is difficult but possible with the proper help and guidance. Many people fail to stop using the drug because of the devastating withdrawal effects, which include severe body pains, abdominal cramps and flu-like symptoms. Natural detoxification (cold turkey) can take anywhere from 14-21 days to leave the body naturally, which is also why many heroin users relapse without effective detoxification. The cravings are also intense and can continue for many months after the person stops using the drug. Withdrawal from any resulting effects of substance abuse is a personal journey that requires every ounce of support that can be offered; withdrawal symptoms are characterized by intense pain and craving for the addictive substance. Medical detoxification, Medicine Assisted Therapy (M.A.T), rehabilitation and focused counselling, when combined, can provide powerful tools to help an addict recover. At Assisted Recovery Centres of Africa (ARCA), we provide effective, FDA-approved therapies. Our treatment methods involve cutting-edge methods in helping individuals recover fully from addiction. We also provide the only Rehabilitation Detox Medical Treatment Program in South Africa that is affordable and can be personalized.